Is HP Releasing a 7-inch TouchPad This Summer? HP is reportedly preparing to release an unannounced 7-inch tablet by August, says the Taiwanese Economic News. The rumor comes close on the heels of the HP making the TouchPad available for pre-order for to its July 1st release. 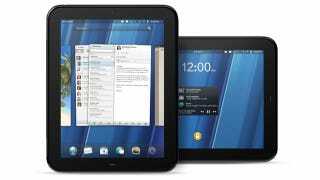 Inventec Corp., a Taiwanese manufacturer that subcontracts for HP, apparently received an order for between 400,00 and 450,000 tablets per month, with the 9.7-in and 7-in models making up shipment. An unnamed source also stated that Inventec will be shipping 3 million tablets this year.